I’ve been wanting to blog something, but my thoughts have been too jumbled. I’ve had some great experiences over the past few weeks, mainly race experiences. 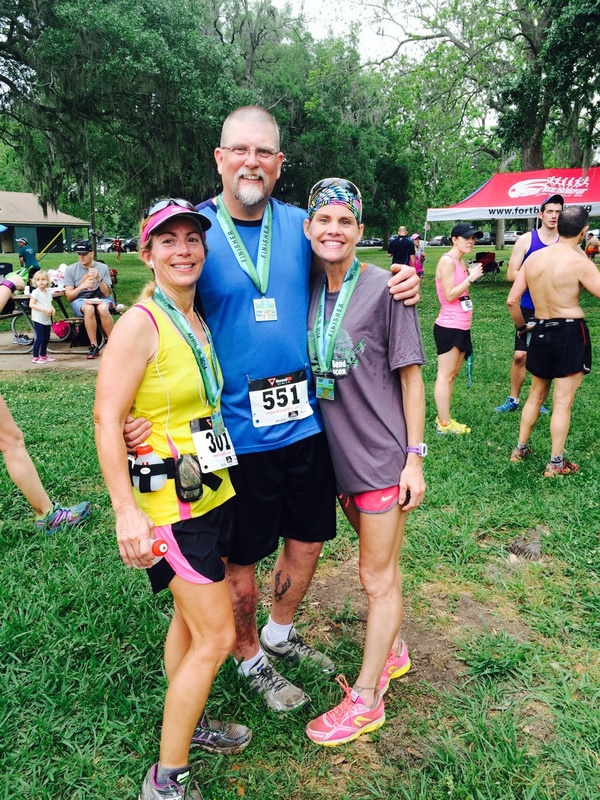 I wrote about one of them, Hell’s Hills 25K trail race. 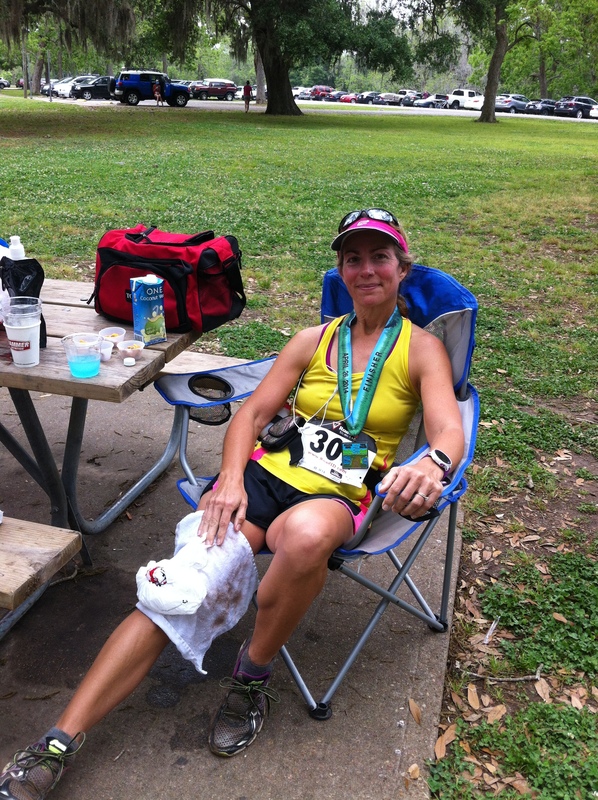 I didn’t write about the next 25k, Brazos Bend, because although I enjoyed it and did well overall, it left me injured and pretty discouraged. Actually, I probably had no business running it in the first place because my right leg wasn’t right. It’s so colicky! Always with the IT band and tight hamstrings! What the?? Long story short, I have a slight curvature of the spine that affects my pelvis that affects my leg when I run. But back to the race. My husband and friend decided to join the fun. Hubby did so well at his first ever 10K and first ever trail race and had such a good time that it helped me get through the extremely painful, unable to walk, get me some ice! post-race period. You can’t tell in this picture how bad I was hurting but I was limping for two days. My friend did her first ever trail 25K in 2:12, not too shabby! She’s awesome like that. Oh, by the way, that’s not a boo-boo on my hubby’s right leg, its a huge scar from many surgeries. So I think it’s extra special that he is out there running. My buddy found me some ice and here I am smiling through the pain. I have to say this race left the three of us with mostly good memories and we all talked about it for a week! We will do it again next year, maybe a longer distance. This park, Brazos Bend State Park was very nice and also full of wildlife and birds. Alligators everywhere! Weather was nice, overcast and not too hot. My biggest complaint was a long section of trail that had been used by horses and was difficult to navigate due to the hoof prints. So , anyway, everyone said, okay the race is over, now rest and recover. I was attempting to do that when I hurt my back swinging a light kettlebell which is evidently a common way to injure your lower back. Never again! This threw me for a loop emotionally. First my leg, now my back?! I have three marathons to run in the Fall and Winter! It hurt bad enough to scare me into not running. I lasted about 5 days. It started to feel less painful, so I just had to try it and I was able to run! Thank you God! This was awesome. My life was not over. I would not have to resort to other means to stay sane. But during those 5 days without running, I did a lot of thinking. Not the happy kind. I pondered whether running is too important to me. I asked myself if it was an idol in my life competing with God for my worship. Did I spend too much time running and not enough with my family? Answers were not clear but that’s a good thing sometimes. I didn’t get a resounding, yes, running is your idol! But I did see that I was spending more time with my kids since I wasn’t running. This week alone I have taken my sons for three casual nature walks! I’ve also spent more time on homeschooling and housework and catching up around the house on tasks in the past couple weeks of rest and recovery. So maybe God knocked me down so I could realign my priorities? Running is still a priority but I have enjoyed the extra time. My family probably would like it if I was more focused on them. This will be a light training month anyway because I will start training for my October marathon in June. 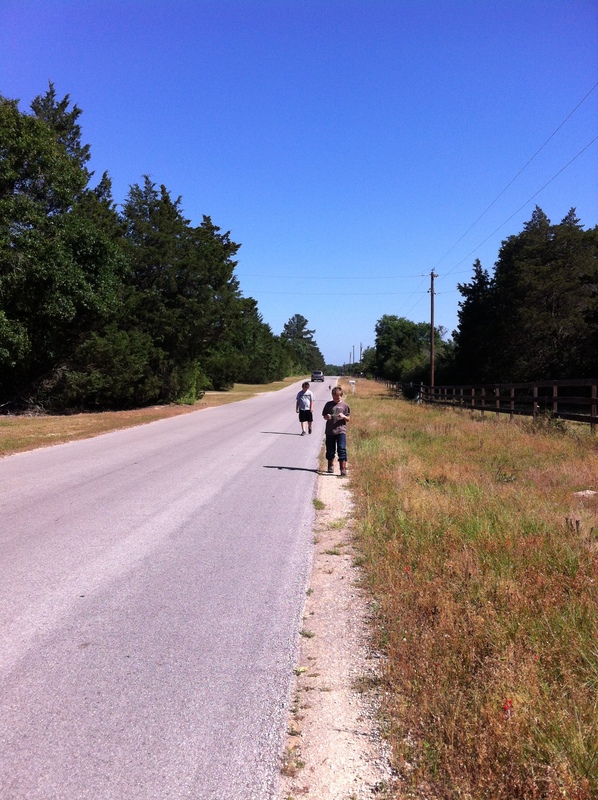 Today I was able to run 3 road miles at 8:50 average pace. I feel good about that since I have only run a few times in the past couple of weeks. I have ridden my bike several times and I plan to keep that up as cross-training is good for me and I like it! Next race will be a 5k road race. Hoping for a PR if I can get enough running in by then. My current PR is 27:40. I am pretty sure I can beat that at least by a few seconds or maybe even more…as long as nothing else happens! Happy Running, God bless you and Yall come back now, ya hear!